FINANCIAL AID — New This Year! The John Apple Swim Fund is offering financial assistance for Lancaster County youth participants and families who cannot afford the full cost of a USA swimming membership. Each request for aid is considered on a per season basis and applies to registration fees only. The amount of aid and number of family members/swimmers receiving aid is dependent upon available funding and is not guaranteed from year to year. We require supporting documentation to verify household size and income, and we consider special circumstances when providing assistance. Applications for financial aid will be kept confidential. The John Apple Swim Fund will be awarding TWO $1,000 scholarships in 2019. The scholarships are available to Lancaster County swimmers. If you are graduating from a Lancaster County high school and committed to the sport of swimming, we encourage you to take a closer look at the application below. Awards will be presented at Apple Palooza, our annual fundraiser, on June 9, 2019. Scholarships will be awarded on an objective and nondiscriminatory basis. Our selection committee consists of individuals who have a background in swimming, but have no affiliation with a specific swim team or swimmer. Questions regarding the scholarships can be submitted to Mindy Ascosi. Available to swimmers in their SENIOR year of high school who plan to pursue college swimming. One Male and one Female will be chosen for this award. 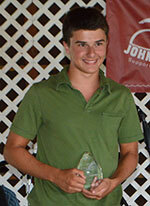 Nathan Heisey is a graduate of Hempfield High School and a member of Five Star Swim Club. This fall Nathan will attend Monmouth University where he will major in Math and swim for their men’s swim team. During his high school career, Nathan made honor roll every semester. He was captain for swimming, named to the Lancaster-Lebanon All League team, a District medalist and received State honorable mention. 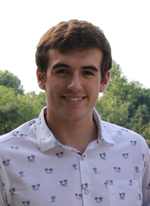 Nathan stays active in our community by lifeguarding at the Hempfield Rec and volunteering for organizations such as the Boys and Girls Club and Schrieber Pediatric. 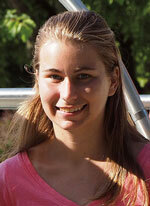 Katie Carrasco is a graduate of Cocalico High School and a member of Five Star Swim Club. She will attend Grove City College this fall and swim for their women’s swim team. Katie actively volunteers for several organizations throughout our community. She developed and ran an after school tutoring program for Cocalico students. 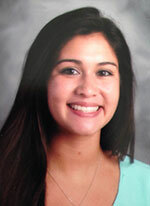 She was a member of Cocalico’s Student Advisory Team, Student Government, and Symphonic Band. She was a district qualifier for both high school swimming and track & field. For the past 4 years Katie has worked as an Optical Technician. Erika Schell is a graduate of Donegal High School and a member of Elizabethtown Aquatic Club. This fall Erika will attend Lebanon Valley College where she will major in Physical Therapy and swim for their women’s swim team. During her high school career, Erika was captain for Swimming, Track & Filed, and Cross Country. She was Vice President for Donegal’s Performing Arts Club, a member of National Honor Society, Math Honor Society and Tri-M Music Honor Society. Outside of school she is actively involved in her church, and girl scouts. Erika was a district and state qualifier for PIAA swimming. 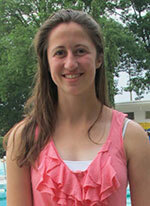 Hailey Fry will attend 10th grade at Donegal High School this fall and currently swims for Elizabethtown Aquatic Club. 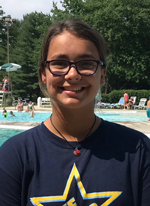 In addition to being a straight A student, Hailey is a member of her high school swim team and qualified last year for PIAA Districts and Mid-Atlantic Senior Champs. Hailey is an active member of Girl Scouts and Orchestra. 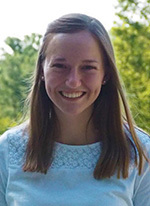 Meghan Brubaker is a graduate of Lampeter-Strasburg High School and a member of Elizabethtown Aquatic Club. This fall Meghan will attend Juniata College where she will major in Marine Biology, minor in Spanish, and swim for the Women’s swim team. During her high school career Meghan made honor roll every semester, was voted captain of her high school swim team, and participated in orchestra. She volunteers for several organizations such as Big Brothers Big Sisters, Yellowstone National Park, Lancaster Head Start Day Care, and her summer swim team the L-S Otters. JD Zellers will attend 9th grade at Solanco High School this fall and currently swims for Diplomat Swim Club. He is a PRIDE Ambassador, member of Student Senate, participates in Solanco’s Gifted Extensions program in addition to Track & Field and Cross Country. 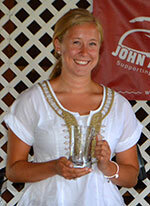 Jenna Walmer is a graduate of Donegal High School and a member of Elizabethtown Aquatic Club. This fall Jenna will attend Bridgewater College where she will major in Political Science and Peace Studies, and swim for the Women’s swim team. 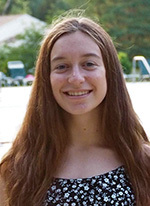 In addition to swimming, Jenna was president of Donegal’s marching band and a member of concert band, jazz band, Key Club, National Honors Society, Math Honors Society, Tri-M Music Honors Society, and Link Crew. Victoria Wang attends Hempfield High School and swims for Diplomat Swim Club. She is also a member of her high school swim team, a district and state qualifier, a member of Varsity Club and active in Hemfield’s Mini-THON. Mikaela Schell is a graduate of Donegal High School and will be attending and swimming for Messiah College this fall. A very accomplished student and swimmer, Mikaela was Secretary of her class, a district qualifier in swimming, active in yearbook, cross country, prayer group and National Honor Society. She will be majoring in Nutrition/Dietetics. 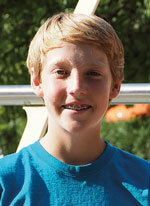 Seth Bare attends Lampeter-Strasburg High School and swims for Marauder Aquatic Club. In addition to being an excellent swimmer and student, Seth is active in marching band, concert band, jazz band, and pit and full orchestra. He is also a member of the National Honor Society.